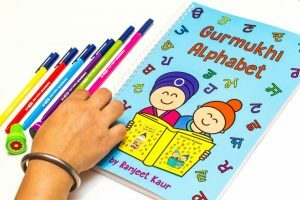 A colorful and comprehensive way to learn the Gurmukhi Alphabet! There are three words for every Gurmukhi letter, with child-friendly border designs and illustrations. 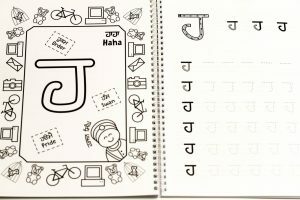 ​Each letter has its own specifically created writing sheet alongside the illustrated page. 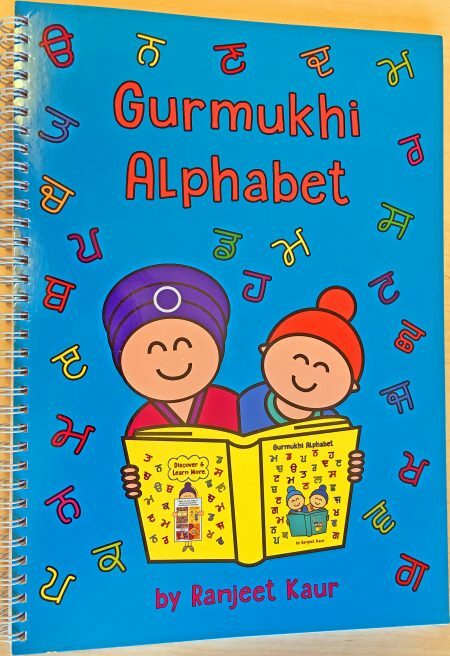 ​Over 85 pages of fun and learning!